Remember not long ago experts were telling us to cut eggs from our diet? From the early 60’s we were taught that dietary cholesterol contributed to blood cholesterol. It’s certainly an easy assumption to make since both terms contain the word cholesterol. Sort of the same way we use to look at any food item that contains the word far. There are good fats and bad fats. It turns out that dietary cholesterol barely affects blood cholesterol except in a few rare cases where people have problems metabolizing dietary cholesterol. The Us Dietary Guidelines released in 2016 eliminated the upper daily limit for dietary cholesterol. Those who are concerned about their blood cholesterol and are not under a doctor’s supervised program should consider reducing trans fats and eating more omega-3 fatty acids as well as adding more fiber to their diets. Eggs have a lot of health benefits, including those for our eyes. A whole egg contains about 6 or 7 grams of protein. Eggs yolks are rich in phosphorus, zinc, and B vitamins, choline, and antioxidants. Eggs have one of the lowest energy-to-nutrient density ratios of any food. Eating eggs mean better energy, less inflammation, easier weight loss, more muscle, and a smarter brain. Egg yolks are high in lutein, a type of carotenoid that helps fight macular degeneration, the leading cause of legal blindness. 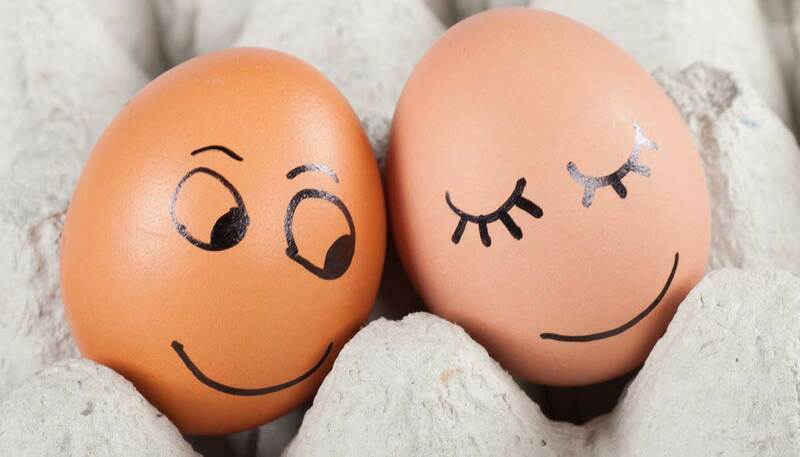 Eggs also contain zeaxanthin that helps protect eyes against damage due to ultraviolet radiation from the sun. Zeaxanthin and lutein also reduce the risk of developing cataracts. So go ahead and get eggcited about eating eggs.